4 Sheets of David Walker Alphabet Letters by by Colorbok - Funky Alphabet Roll (new). - Floral Alphabet. - Blue Alphabet Roll. - Green Alphabet Roll. These stickers are precision die cut, acid free and lignin free. 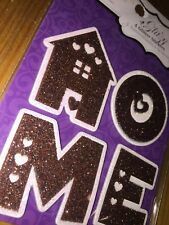 Glitzy Glitter Stickers. Cell Phone / Smart Device. To Request An Invoice I’m happy to help. Colorbok Sticker Sheet ~ Susan Branch. Colorbok New off Roll Sticker ~ Susan Branch.Garden Whimsy. 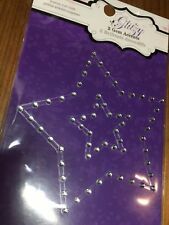 You will receive 1 Colorbok Glitzy Star Sticker. Glitzy Gem Accents. I’m happy to help. To Request An Invoice Desktop / Laptop. BONUS Cut-Outs. Colorbok Sticker Sheet ~ Sandy Clough. Family Album. Colorbok Set. "Foam foil stickers". Border & Square Stickers. 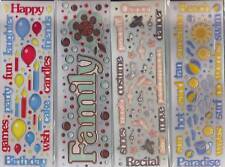 Colorbok Layered Title raised sticker set ~ LOVE, CUTE~so useful & adorable!! Colorbok New off Roll Sticker ~ Susan Branch.Spring. see picture. 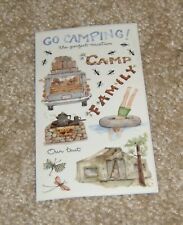 Marjolein Bastin Wedding Anniversary Scrapbook Stickers 3 Large Sheets! These are made by Marjolein Bastin. In the first picture the bottom is cutoff, but not on the actual sheets. This includes 4.5” x 6” sheets or smaller only. ALL sheets are shown in the first picture. Colorbok New off Roll Sticker ~ Susan Branch.Sweetheart. Antique Paperie. 34 Foil Epoxy Stickers. I’m always happy to help. BY - COLOBOK. ENGLISH MOSS. 10 TRANSPERANCY OVERLAYS. Colorbok New off Roll Sticker ~ Susan Branch.Sewing. Colorbok GLITTER ACCENT Stickers~WOW! So CUTE! ~New REDUCED!! GLITTER ACCENT STICKERS . 17 stickers on this sheet. I'll send a combined invoice once you are finished. This listing is for one sheet of Sesame Street Oscar the Grouch scrapbook stickers. Acid and lignin free. Trending at $2.29eBay determines this price through a machine learned model of the product's sale prices within the last 90 days. Colorbok Border Sticker ~ Sandy Clough....Lace Trim Border. Colorbok Sticker Sheet ~ Sandy Clough. Lace Trim Border. BY - HEIDI GRACE. CLEAR EPOXY WORDS. Dr. Seuss Child Thing 1 & Thing 2 Leggings -NEW!! Transform your little girl into a charming troublemaker with our Dr. Seuss Thing 1 & Thing 2 Leggings. She'll stay comfy all night long in our red and blue leggings. Dr. Seuss Child Thing 1 & Thing 2 Leggings product details. BY - COLOBOK. ENGLISH MOSS. 12 PHOTO CORNERS. These Colorbok Stickers are perfect for scrapbooks, cards and all sorts of craft projects. 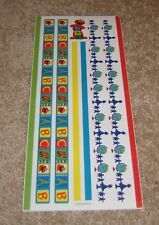 Colorbok Alphabet Sticker Sheet ~ Susan Branch......New but not packaged. Colorbok Sticker Sheet ~ Susan Branch Primary Colors Alphabet. Condition is New. These are slightly puffy stickers. This includes 4.5” x 6” sheets or smaller only. ALL sheets are shown in the picture. Style: Christmas Tree (SANTA). 3D stickers - acid free. BY - COLOBOK. ENGLISH MOSS. 14 FABRIC FLOWERS. DARK GREEN 3-D ALPHAS. for scrapbooking and papercrafting. I like to leave you smiling! nor do we mark them as 'GIFT'. YOU'LL RECEIVE THE STICKERS THAT YOU SEE IN THE PHOTO.DON'T MISS OUT ON THIS AMAZING DEAL! Great for scrapbooking, card making, notes and so much more. 2 NEW Packs Colorbok CONGRATULATIONS Chipboard Punch Outs Stickers!